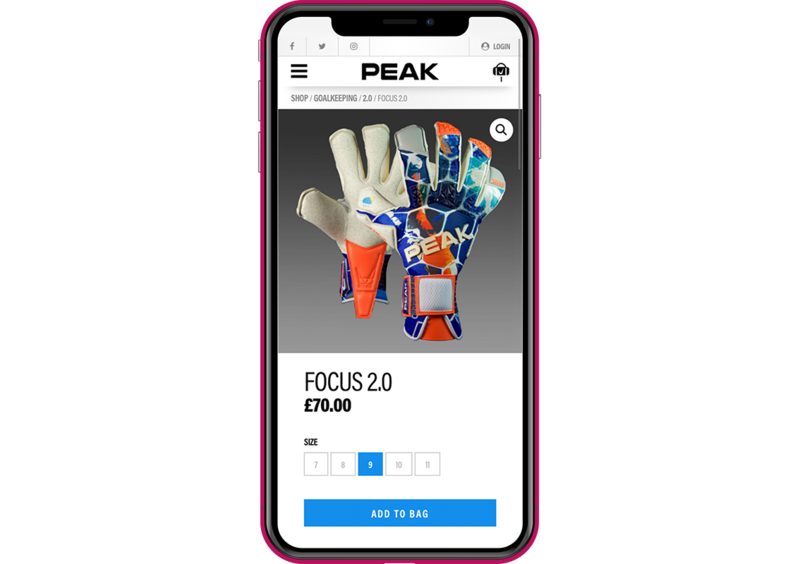 We jumped at the chance to work with top international goalkeeper Tim Krul to redevelop and revitalise the online offering of his sportswear brand PEAK. 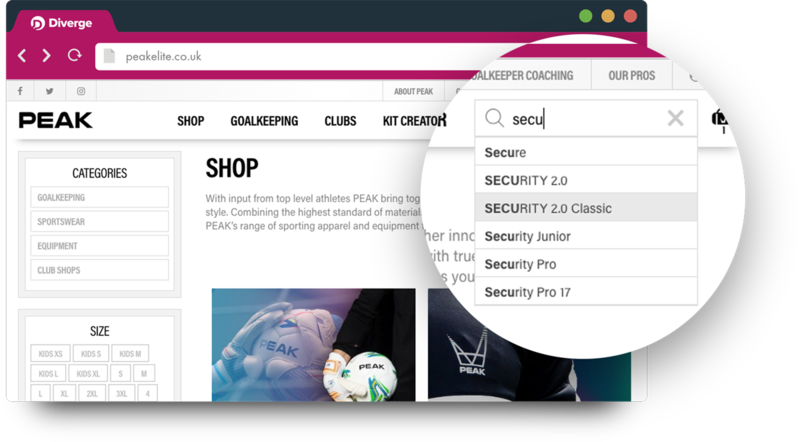 They needed a powerful ecommerce platform with which to maximise sales of their performance sportswear, hi-tech goalkeeper gloves and bespoke club kits. It was an important consideration from the outset that PEAK’s customer base is spread throughout Europe, so we developed a smart currency conversion feature which automatically calculates and converts prices into the local currency of the user’s location. For countries where price points differ this can be manually overridden, which allows PEAK the flexibility to exploit local knowledge within their main markets. A powerful search feature instantly suggests products and categories as the user types. The shop itself is designed to raise the perception of the brand in the eyes of customers with a slick interface, easy to navigate categories and a range of product customisation options. Alongside their range of sportswear and goalkeeping equipment PEAK also provide bespoke matchday kits to football clubs all over the UK and Europe. We gave them a way of offering these clubs the option of having their own club shop on the PEAK site, selling the kits and training wear designed for their club directly to their fans and staff. 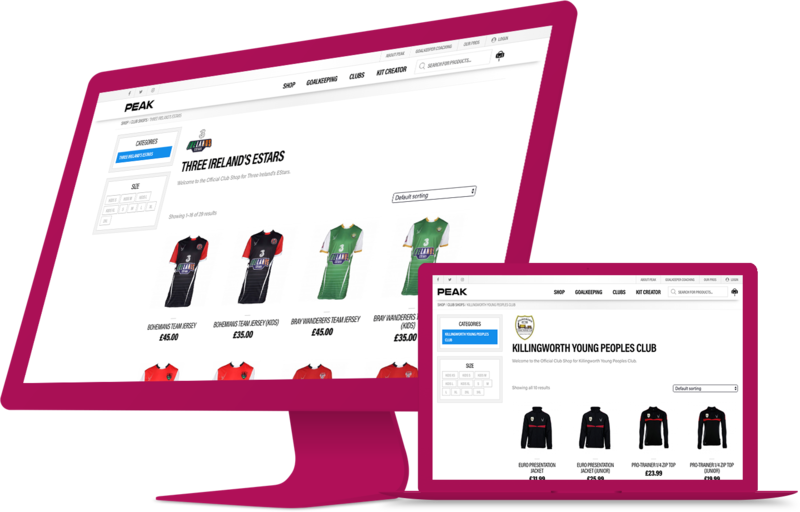 This also allows merchandising tie-ins with non-football clients, such as Ireland’s Estars, who offer a range of official sportswear for sale via the PEAK website. With a powerful ecommerce website behind them, PEAK Sportswear are all set to raise their game even further. Click here to visit the website, or get in touch with us if you’d like to discuss your next ecommerce web design project.